Icons for website illustration, brochures and presentations. Is there a better alternative to Standard Road Icons? Is Standard Road Icons really the best app in Icons category? Will Standard Road Icons work good on macOS 10.13.4? Standard Road Icons allows you to create online and printed matters of road infrastructure. Standard Road Icons are professionally drawn and come in a variety of sizes and resolutions to compliment your project. Standard Road Icons are perfect to illustrate Web sites, brochures and presentations of any navigation or GPS project and can be used to lay out maps of transport infrastructure. 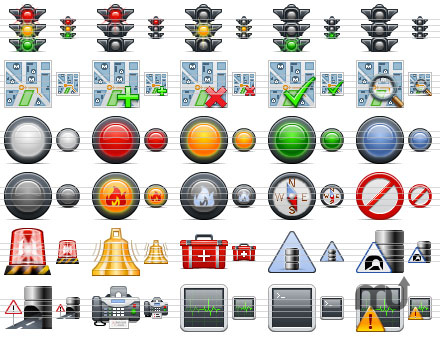 now contains over 100 icons! Standard Road Icons needs a review. Be the first to review this app and get the discussion started! Standard Road Icons needs a rating. Be the first to rate this app and get the discussion started!